Good. You are here. 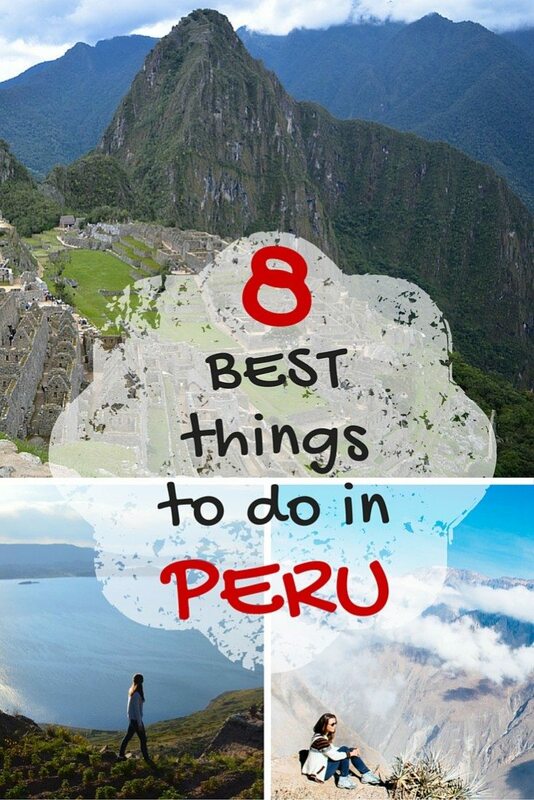 Now, hurry up and get your tickets, Peru is becoming a mainstream destination and you should make sure you visit it before everyone else does! 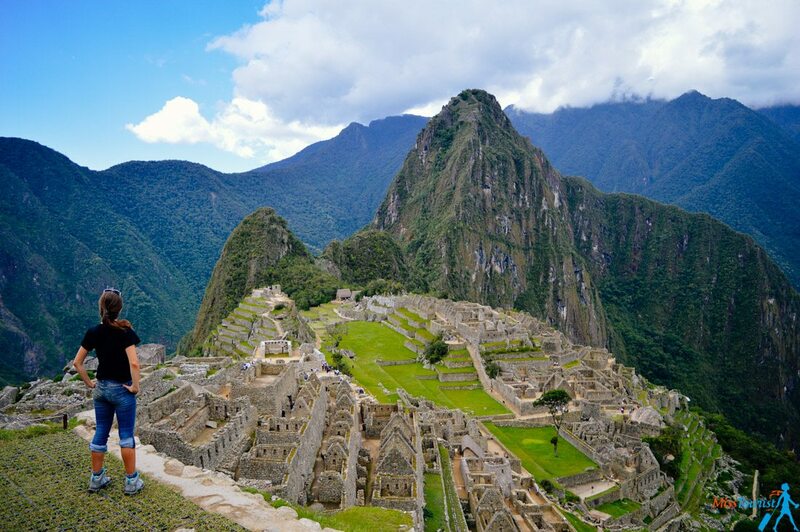 There are a million things to do in Peru starting from a beach vacation and sand boarding to hiking mountains and, of course, Machu Picchu! So, you are thinking to go to Peru for a vacation, what should you definitely include in your list? I bet you did not see this one coming, did you? Machu Picchu (meaning the “Old mountain” in Quechua) – is an Inca citadel built in the 15th century. It was abandoned just 30 years after the Inca people built the city due to an epidemic disease. This mysterious place has truly given us many riddles to solve and many discoveries about this civilization! It is, with no doubt, a number 1 place to visit in the country! In this case, as cliché as this will sound, going to Machu Picchu is not only about the destination, it’s also about the journey. As I say that. I am actually pointing out the Inca trail and the Sacred valley here. Did you know that the Colca Canyon is twice as deep as the Grand Canyon in USA? The Colca Canyon is a great hiking location. Its biggest rewards are its mesmerizing views and the fact that you will witness condors (the biggest bird on Earth) flying in their natural habitat. This “little” bird’s wingspan is more than 3 m, can you imagine? The views are fantastic, it is a great trek and a great opportunity to challenge yourself by itself, highly recommended! 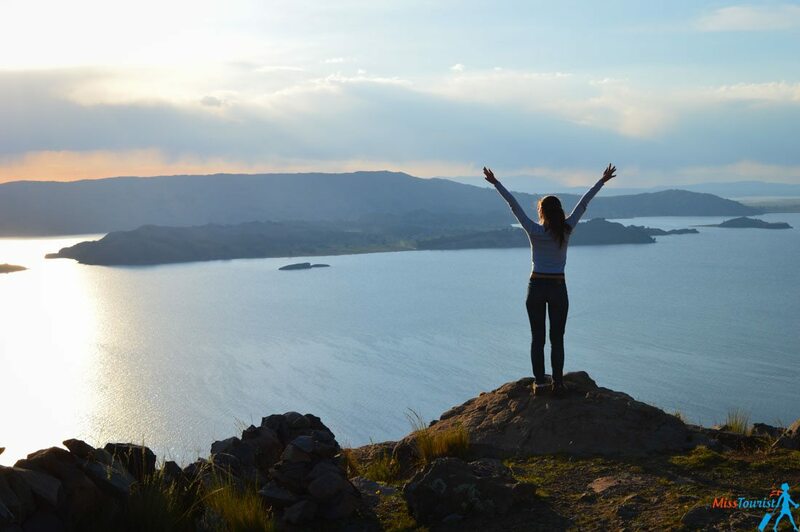 Lake Titicaca is the highest navigable lake on Earth and this funny name means “Grey Puma” (or “Stone Puma”) in Quechua. The territory of the lake is divided between 2 countries – Peru (60%) and Bolivia (40%). Or the other way around, depends who is talking– a Peruvian or a Bolivian. I have visited Titicaca from the Peruvian side and stayed there in a homestay in a local family. That was a great experience! If you choose a homestay, you will have a unique opportunity to see how these people live, what do they wear, what they cook etc. You will be basically a member of the family for 1 day. No hotel ever will be able to provide such an immersive experience! 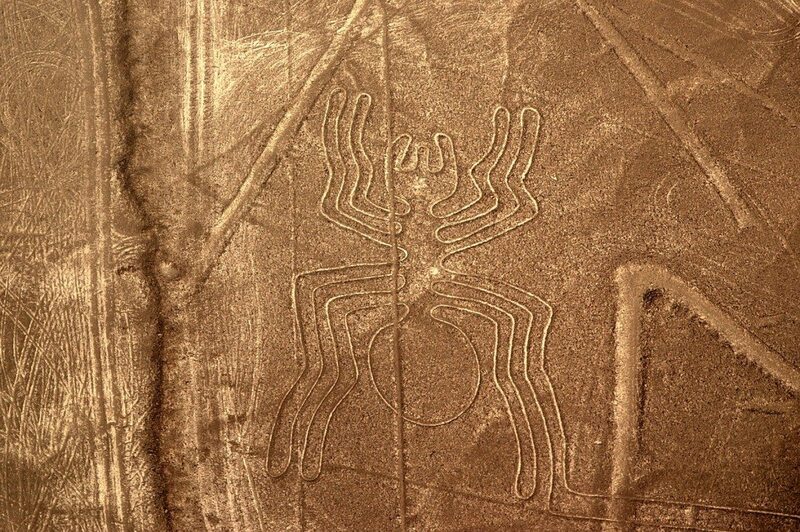 Nazca lines have their chapter in the biggest mysteries of humanity. The peculiar drawings cover the territory of over 1 000 km2. Whimsical figures of animals, plants etc. are composed from more than 10 000 lines and are best seen from the helicopter. Although it does not come cheap, a helicopter ride over the lines will make a truly special experience. This is the best rate I have found. 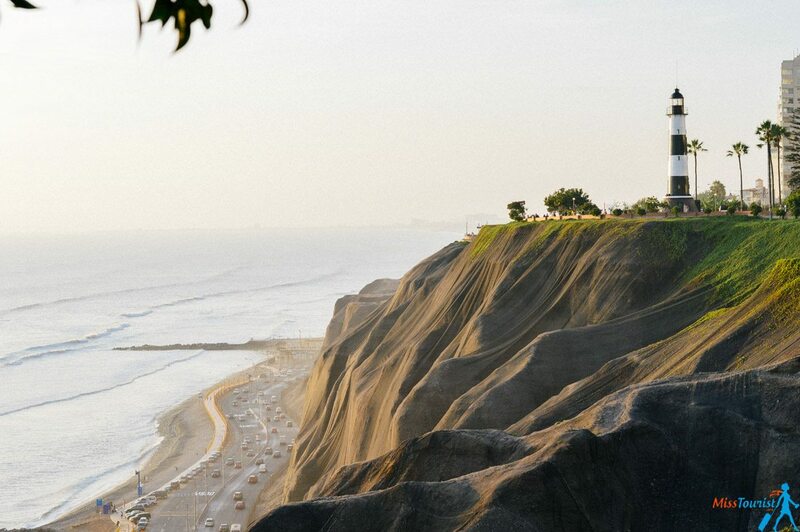 The capital of Peru, Lima is home to the some of the world’s best cuisine – seviche , pisco sour etc. Indulging your appetite and learning Peruvian history through its food – isn’t this reason already strong enough to make a 2-3 days stop in Lima? If you are not a foodie, I still have something to convince you with – just look at this view of Miraflores district. This part of the city is adorable and you cannot fully experience Lima without meeting the sunset in one of it’s gorgeous seafront parks. Do you feel like pumping your adrenaline a bit? No problemos, senor! 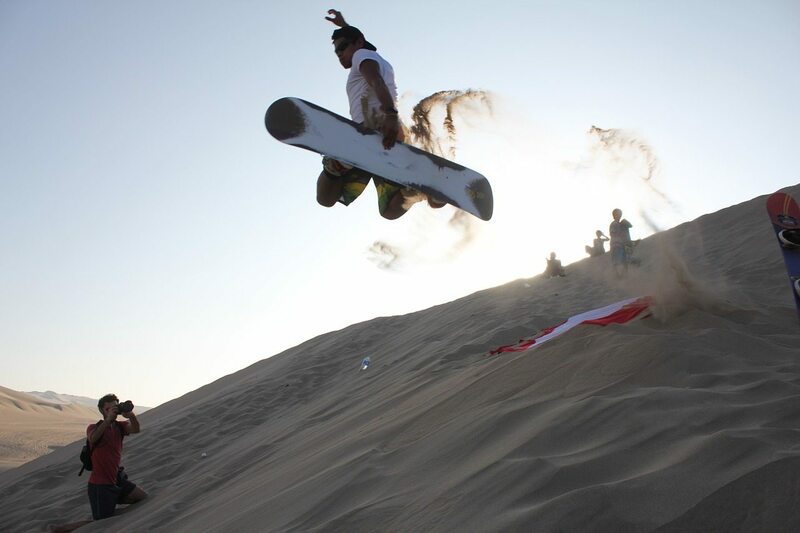 There is a great oasis in the middle of the Ica desert, you can practice your sand boarding skills there (it is very easy, by the way!). The oasis is majestically beautiful, I recommend making a stop for a couple of hours or even a day, if you have time. In Huacachina you can race across the sun on a dune buggy, it is great fun! the Inca weren’t really shy guys as they called their capital Cusco. 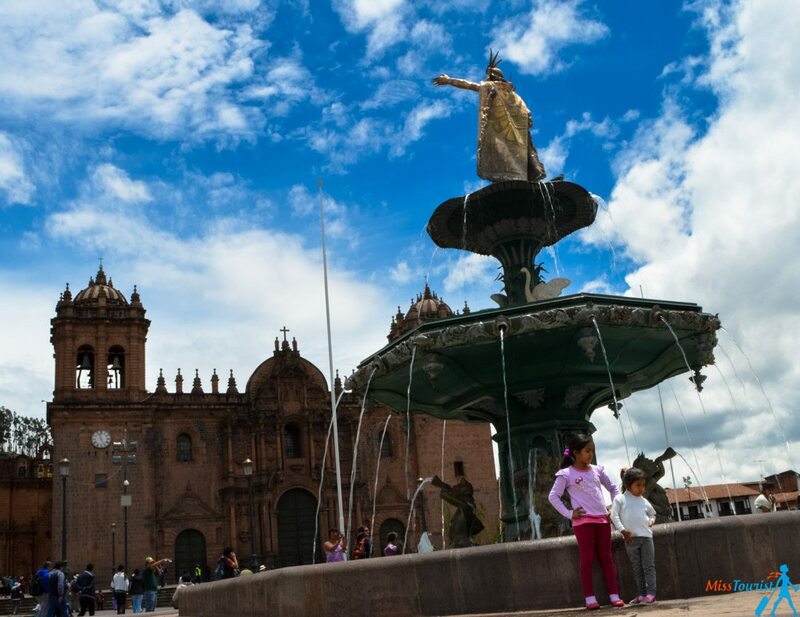 Cusco, in Quechua (the official language that is still spoken in rural areas) means … a “belly-button”. Why? Well, you see, they wanted Cusco to become what belly button is for our body – the center of the World. Not too shy of them, huh? Cusco is nested in a valley surrounded by mountains. The Inca capital has the unique blend of colonial and Inca architecture. While there, take pictures with colorful local women and their baby lamas or just stroll its narrow streets. You should stay for a couple of days, it will also help you get used to the high altitudes before your Machu Pichu trek or Inca trail. Arequipa is the most beautiful colonial city, at least in Peru. The second biggest after Lima, it still has the colonial charm and is mainly built from a white volcanic stone, that is why the nickname. 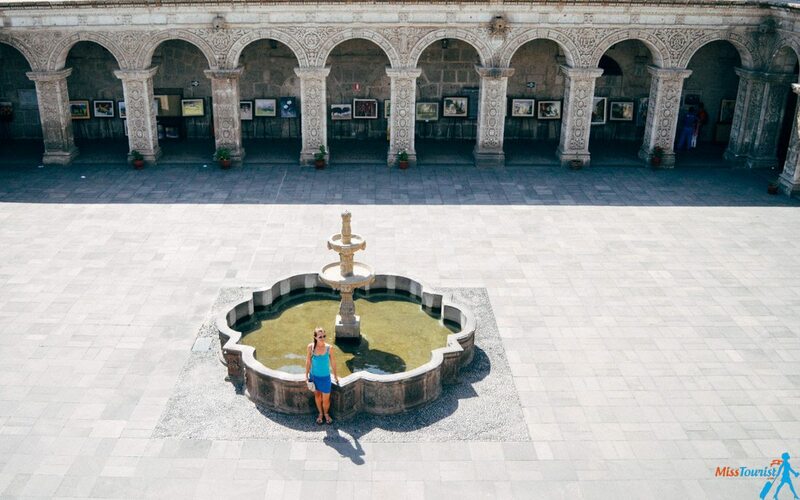 Arequipa has one of the most beautiful monasteries in South America, don’t miss the chance to visit while there! Framed by 3 volcanoes, Arequipa is also a great city for hiking and trekking. If all the previous wasn’t enough, climb Misti – one of its volcanoes and see the breathtaking view. While Machu Picchu is indeed amazing and it is definitely not to miss, there are countless other great places to visit in the country – Colca Canyon, white city of Arequipa, mysterious Titicaca lake, Nazca drawings and many many more! I toured the country for almost a month and these are the places that I definitely recommend to visit when in Peru. Share it if you feel like it was useful, I would really appreciate it! Don’t hesitate to ask me any questions in the comment, I will be glad to help! Now you – What would YOU add to the list? I loved my time in Peru 8 years ago but I broke my finger on my trek to Macchu Pichu. I was planning on doing 2, 3, 4 and 8 on your list until that happened. The one omission on your list is the Cordillera Huayhuash hike near Huaraz. This is singlehandedly the best place that I have ever been. Thanks for the comment, Kirk! So sorry about the finger, you should come back one day then! Yes, 3 weeks were definitely not enough to see everything in the country! The pictures of the place look awesome! Planning a trip to Peru and possibly Salt flat in Bolivia, maybe add beach days, but not sure which country. Going in June/July. Should we start in Lima and end in Bolivia? Or start at Salt flats? beach recommendations given it is winter? Thanks, very helpful blog. We travel a lot also and my kids age 12 and 13 have been to 37 countries. Such a nice article about your experience in Peru! So many things to do and there’s so much more. 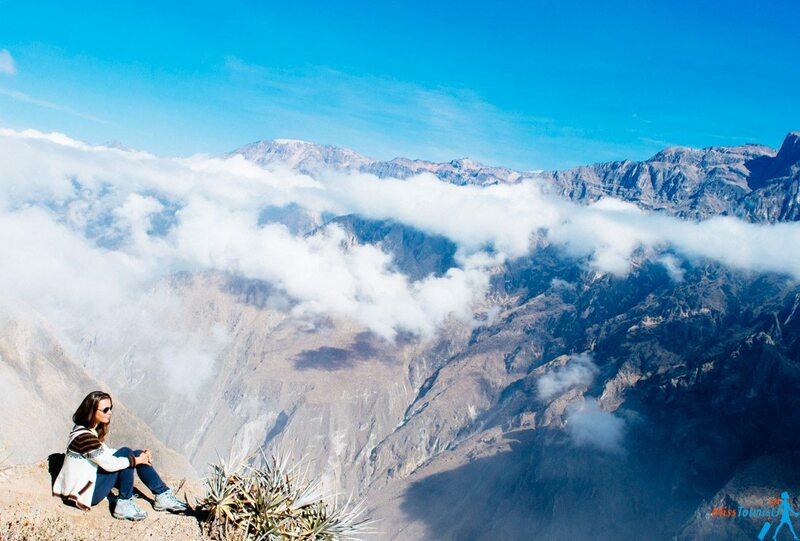 The Colca Canyon is absolutely incredible and a nice trekking experience you shared in the other article! Same goes for your time being with locals in Puno, love it. Have you heard about the Rainbow Mountain? Yes, I have heard about the Rainbow mountains a lot, but didnt have the time to reach it unfortunately. I think it is really cool and you should go if you have a chance! Did you combine salar de yuni with Peru or you did that separately ? How did you travel in Peru?